Use in a prehospital (i.e., by EMS providers) or triage setting for patients with stroke symptoms. The LAMS is a validated 3-item prehospital scoring tool derived from the motor exam components of the Los Angeles Prehospital Stroke Screen (LAPSS). It was designed to rapidly quantify stroke severity in the prehospital setting. LAMS ≥4 has a sensitivity of 81% and specificity of 89% for predicting large vessel occlusion (LVO). Although other scores such as the NIH Stroke Scale (NIHSS), Cincinnati Prehospital Stroke Scale (CPSS), Rapid Arterial oCclusion Evaluation (RACE) Scale, and the full Los Angeles Prehospital Stroke Screen (LAPSS) are more comprehensive, the LAMS is a much simpler assessment tool that takes only 20-30 seconds to complete, making it well-suited for prehospital or triage settings. Correlates strongly with the full NIHSS (gold standard) and predicts long-term functional outcomes following stroke events. Rapid access to time-sensitive interventions such as thrombolysis and endovascular therapy (EVT) for eligible patients is directly linked with improved long-term neurological outcomes for stroke patients. Early recognition of severe strokes (LAMS ≥4) by prehospital providers in the field shortens time to definitive diagnosis and treatment. Simple, reproducible, and rapid way to identify severe strokes in the prehospital setting. For patients with suspected stroke and LAMS ≥4 (severe), potential LVO should be considered as the cause. Transportation to a Comprehensive Stroke Center, if available, should be coordinated as rapidly as possible to facilitate potential invasive treatments such as endovascular therapy (EVT). For patients with LAMS <4, acute stroke should still be considered. However, these patients are less likely to be LVO candidates for invasive treatment. Vital signs (including point-of-care glucose). Determination of stroke symptom onset time (or time when the patient was last seen normal). Activation of stroke transportation protocol and/or stroke assessment team for rendezvous at Comprehensive Stroke Center (if available). Screen for contraindications to thrombolysis. Under appropriate circumstances and in consultation with both neurology and the patient, consider initiation of intravenous thrombolysis. Prioritize obtaining a stat non-contrast CT head to evaluate for hemorrhagic stroke when able. If negative for intracerebral hemorrhage (ICH), obtain a subsequent CT angiography (CTA) head and neck to evaluate for ischemic vascular occlusion. The LAMS is not a substitute for a full neurologic exam or NIHSS assessment by a stroke specialist. It is a screening tool to assist with transport and triage decisions in the prehospital environment. Regardless of the ultimate underlying diagnosis, neuroprotective supportive care should be employed to prevent progression of neurologic injury, including treatment of hypoglycemia, hypoxia, hypothermia, and/or hypotension. Blood pressure management is challenging in the prehospital phase without diagnostic imaging to confirm acute ischemic stroke vs. intracerebral hemorrhage (ICH) vs. other causes. Low blood pressure should be corrected empirically. High blood pressure should be managed per local protocol or in consultation with a neurologist. Whenever possible, patients with acute stroke should be transferred to a stroke center as soon as possible for full evaluation and treatment, as Comprehensive Stroke Centers have been shown to significantly improve clinical outcomes following stroke. LVO less likely. Stroke is minor or moderate in severity, but may still benefit from acute treatment. LVO likely. Stroke is severe and requires acute treatment. Transfer to stroke center with endovascular capabilities. In the derivation study, lower mean LAMS correlated with lower Modified Rankin Scale score (i.e., better functional outcome) at 3 months (mean entry LAMS 2.2 versus 3.7 for mRS ≤1 or >1, respectively). The LAMS was first derived by Llanes et al as a simplification of the Los Angeles Prehospital Stroke Screen (LAPSS) focused only on the motor elements of the original LAPSS. It was intended to serve as a rapid prehospital scoring tool in the evaluation of suspected stroke patients. Llanes et al compared the predictive performance of the LAMS to the full NIHSS (gold standard) as well as the abbreviated shortened NIHSS (sNIHSS) in a retrospective cohort of 90 patients enrolled consecutively in the UCLA Stroke Clinical Trial Network from 1994 to 2001. Entry LAMS correlated closely with the entry full NIHSS score (r = 0.75, p<0.0001). Entry LAMS was comparable to the entry full-scale NIHSS and comparable or superior to the entry sNIHSS for predicting three-month functional outcome measures. Patients with excellent outcomes at three months had mean LAMS entry severity scores significantly lower than those with poor to good outcomes (2.0 ± 1.6 vs. 3.5 ± 1.5, respectively, p<0.0001). Nazliel et al evaluated both the LAMS and NIHSS for prediction of LVO in a retrospective cohort of 119 patients drawn from the UCLA Stroke Center database from 1996 to 2006 and the UCLA Get with the Guidelines Stroke Registry for the 2005 calendar year. Inclusion criteria were (1) last known well time within 12 hours of initial ED examination and (2) final diagnosis of acute ischemic stroke in the anterior circulation. LAMS ≥4 showed sensitivity 0.81, specificity 0.89, and overall accuracy 0.85 for predicting LVO. LAMS ≥4 had a positive likelihood ratio of 7.36 and a negative likelihood ratio of 0.21 for predicting LVO. LAMS performance for predicting LVO was comparable to NIHSS performance (c-statistic 0.933). Kim et al completed the first prospective field validation study of LAMS as performed by paramedics. Data was prospectively gathered in the FAST-MAG trial (Field Administration of Stroke Therapy – Magnesium Phase 3) and included 1632 patients. Prehospital LAMS performed by paramedics was compared to early post-arrival (EPA) LAMS and EPA NIHSS. Prehospital LAMS correlated moderately with EPA NIHSS (r=0.49) while EPA LAMS correlated strongly with EPA NIHSS (r=0.89). Predictive accuracy for non-disabled 3 month outcomes by adjusted c statistics were as follows: prehospital LAMS, 0.76 (95% CI 0.74-0.78); EPA LAMS, 0.85 (95% CI 0.83-0.87); EPA NIHSS, 0.87 (95% CI 0.85-0.88). Llanes JN, Kidwell CS, Starkman S, Leary MC, Eckstein M, Saver JL. The Los Angeles Motor Scale (LAMS): a new measure to characterize stroke severity in the field. Prehosp Emerg Care. 2004;8(1):46-50. Kim JT, Chung PW, Starkman S, et al. Field Validation of the Los Angeles Motor Scale as a Tool for Paramedic Assessment of Stroke Severity. Stroke. 2017;48(2):298-306. Nazliel B, Starkman S, Liebeskind DS, et al. A brief prehospital stroke severity scale identifies ischemic stroke patients harboring persisting large arterial occlusions. Stroke. 2008;39(8):2264-7. 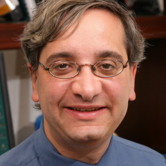 Jeffrey Saver, MD, is a professor of clinical neurology at the University of California, Los Angeles. He is also the director of the UCLA Stroke Unit and has published over 530 peer-reviewed articles. Dr. Saver’s research interests include stroke prevention, diagnosis, and treatment, as well as outcomes after stroke.